I have long complained of Toronto lacking in pretty restaurants. 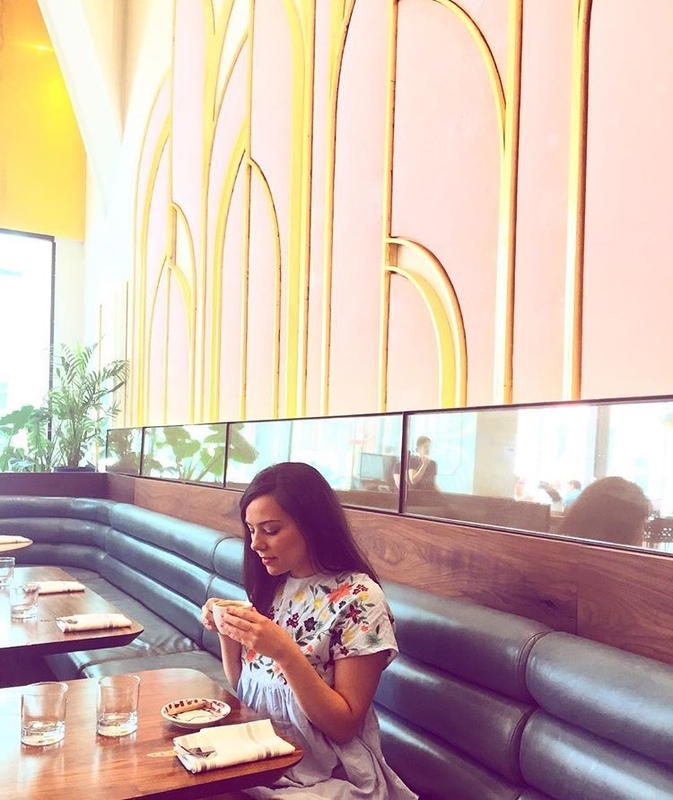 Though not a huge foodie, I love going out for brunch, especially if the decor is charming and unique. I have always been guilty of judging my books by their covers, I guess I’m just a visual person. 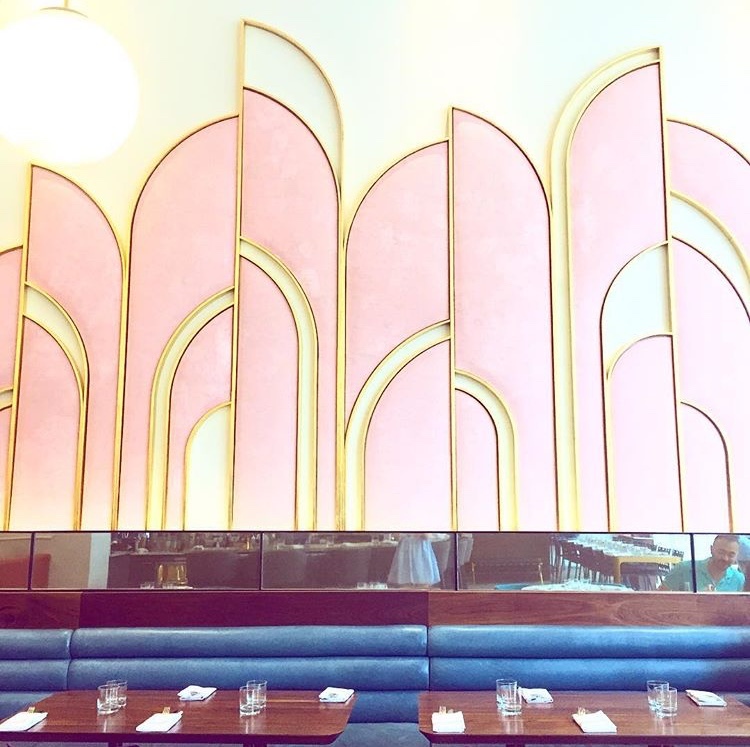 I first saw Oretta on Instagram, with the pink wall with gold accents and velvety blue booths. It is gorgeous inside. I actually realized where it was while David and I were out for brunch at Brioche Dorée across the street, as the two story tall pink walls can be seen from outside. Inside the tables are dark wood and mustard (my favourite colour) and the bar is white marble. I would maybe not think to combine all of these colours in one design, but I suppose that’s why I’m a consumer and not an interior decorator. It is truly gorgeous inside. Now I’m sure you’re wondering, if this is a post about a restaurant, when do I plan on giving my take on the food. Sadly, I must admit, Italian is far down on my list of favourite cuisines. I’d go so far as to say, I’d go for almost anything before Italian, so there weren’t too many dishes of interest to me. I ended up going completely out of my comfort zone and had a nutella pizza (with a soft cheese and blueberries). It was alright, but I never really have sweet breakfasts. I rarely stray from avocado toast, or eggs benny with smoked salmon. I would definitely return for lunch, or dinner.